In order to create a custom trade show exhibit that demonstrated Nikon’s dedication to the study of light, while still showing off as fun yet high-end, we had to create something otherworldly. Wanting to create an “arena of light,” we developed a celestial space that resembled the sun and its rays. We suggested the exhibit radiate warmth and movement, linking to Nikon’s cornerstone: the use of light. 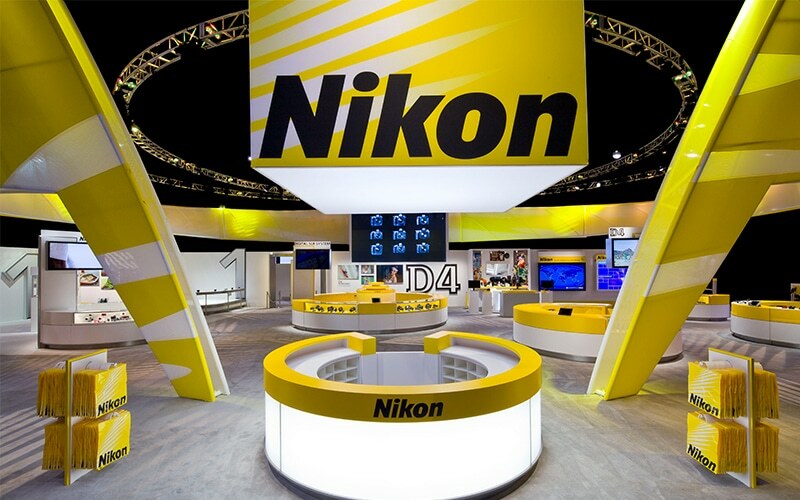 To do so, we used tension fabric in Nikon’s signature yellow and wrapped it alongside the top of the exhibit. For a natural effect, cutouts in the fabric alongside gobo lighting created the illusion of light rays. Angular showcases gave the feeling of luminous motion that can be tied to Nikon’s digital products. 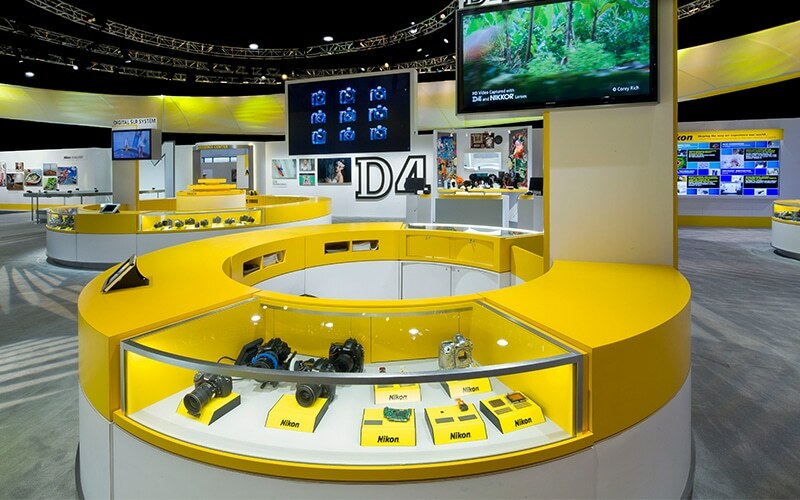 Overall, the custom exhibit was a success and allowed Nikon to show itself off in an attractive way that drew thousands of potential clients and received numerous accolades from staff members, attendees, and media outlets.